The best breakfast in Annapolis is the one that’s freshly prepared and elegantly served, cooked to perfection to satisfy your needs, delight your taste buds and tickle your tummy. Starting your morning with the best breakfast in Annapolis is the best beginning to the perfect day of fun and enjoyment. Of course, there is nothing more leisurely than gently easing yourself into a day filled with an array of interesting activities, experiences that will fascinate and amuse you. Ask us about getting “early coffee” brought up to your room, the perfect mood enhancing euphoria that emboldens you to greet the dawn while coddling you into waking up. We do our best to start your day with the pleasure of great company, an elegant table setting and a three-course breakfast sure to delight. 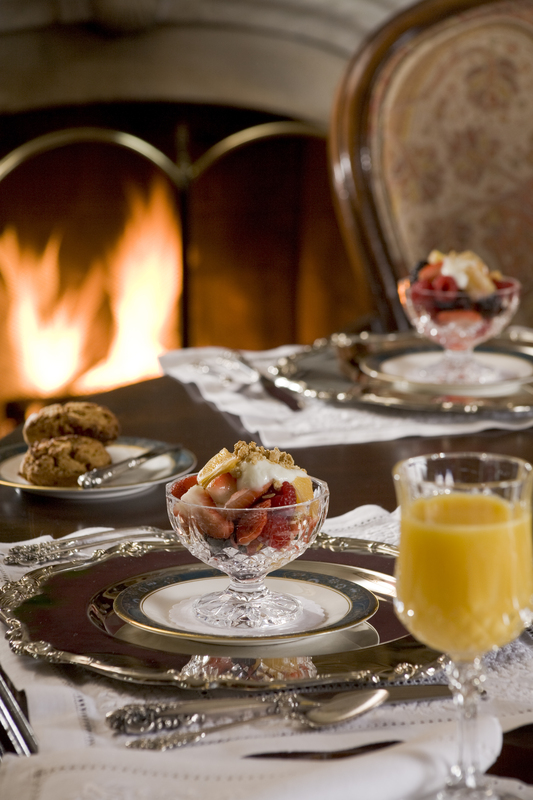 An Annapolis breakfast is part of your guest experience, served with your enjoyment in mind. Our elegant dining room in itself is a cause for celebration and rightfully raises everyone’s expectations that something special is about to happen. You’ll make new friends, hear new stories and learn a variety of different things. You’ll laugh at some of the hilarious life-at-the-Inn sitcom anecdotal episodes shared by your Innkeepers, and return home with plenty of amusing stories to share with family and friends. 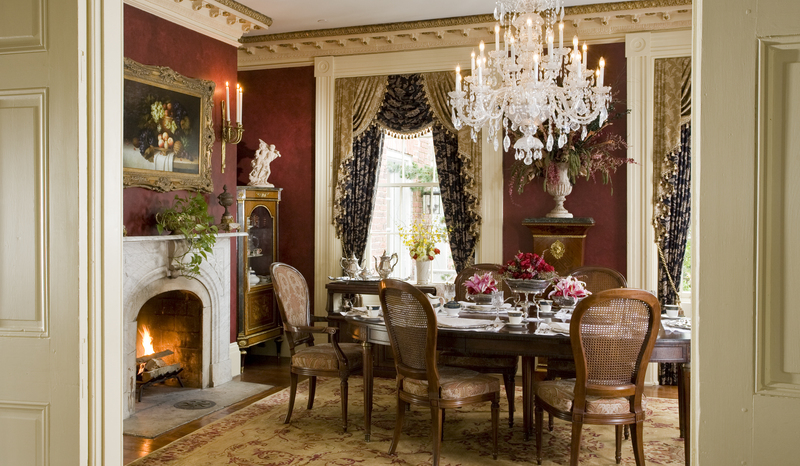 Join our guests in our dining room for breakfast and be part of our audience and enjoy the festive atmosphere and incomparable unique experience that can only be found at The Annapolis Inn. Breakfast is served between 8 am and 10 am, so just let us know the night before what time you should expect you in the morning, and we will prepare your breakfast for your choice of time as our pampered guest. Our breakfast unfolds in three courses, but you decide how much food is right for you. Your health and well-being is very important to us, and we are more than happy to accommodate individual dietary needs, food allergies or preferences so that you can have an enjoyable and satisfying dining experience. 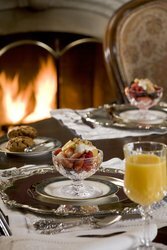 Breakfast is prepared and served to you at a very comfortable pace. First Course: Coffee, tea, juice, and water, served with homemade scones served with clotted cream, preserves and butter. Second Course: Fresh fruit and fruit parfait. Third Course: Your entrée of the day – all the things you never have the time to make for yourself. Let us know your favorites. Whenever possible, we serve as many organic products as are available, and our water is crystal clear, thanks to our own in-house water filtration system that uses reverse osmosis to remove all impurities. For a meal of leisure and satisfaction, join us for the best breakfast in Annapolis. Enjoy three sumptuous courses for a leisurely start to your day.